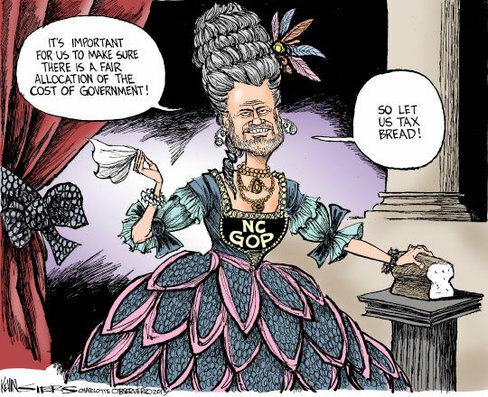 A GOPer in drag! Oh the horror! With all the wrong-headed things happening in NC, I don't get that there is no attention from the national media and little from the local, which I'm sure supports every bad thing these bozos do, about what is happening here. Without some attention, people will just go along like there's nothing that can be done and keep electing all the worst people, who will make sure, through gerrymandering, that they never face a serious challenge. They'll vote to keep us safe from gay marriage and Communists and ignore the real issues. That polls show Virginia Foxx as the Republican with the best shot against Senator Hagan says it all. Most people just don't pay attention and vote against their economic interests, but never figure out where the blame should be - on themselves.